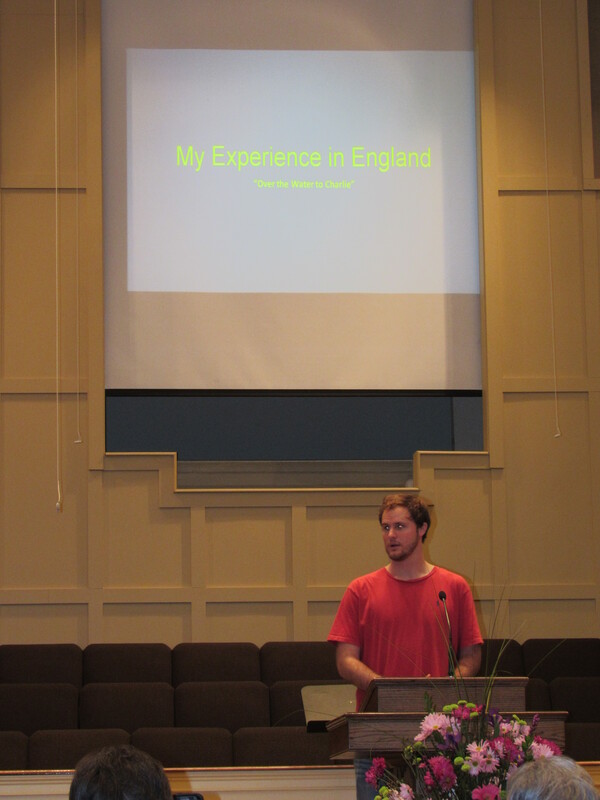 “Over The Water Charlie” shares his experience as a summer missionary to Grantham, England at Tuesday night’s Spring Meeting of the Webster County Associational Women’s Missionary Union (WMU) as part of the Annie Armstrong Week of Prayer. The “mission field” was a rundown government apartment complex in Grantham, England. The children were filthy. They had very little parental guidance. They literally had nothing. Charlie Easley join a group of 12 Mississippi State University students through the campus Baptist Student Union on a week-long mission trip last summer to make an impact for Christ on the lives of these children and their families. 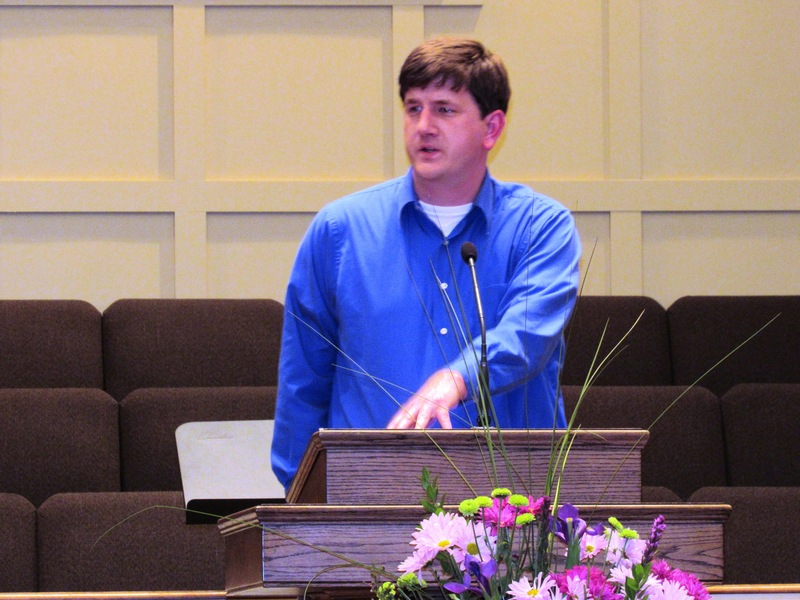 Easley shared his story as part of the Spring Meeting of the Webster County Baptist Association’s Women’s Missionary Union (WMU) at Walthall Baptist Church. 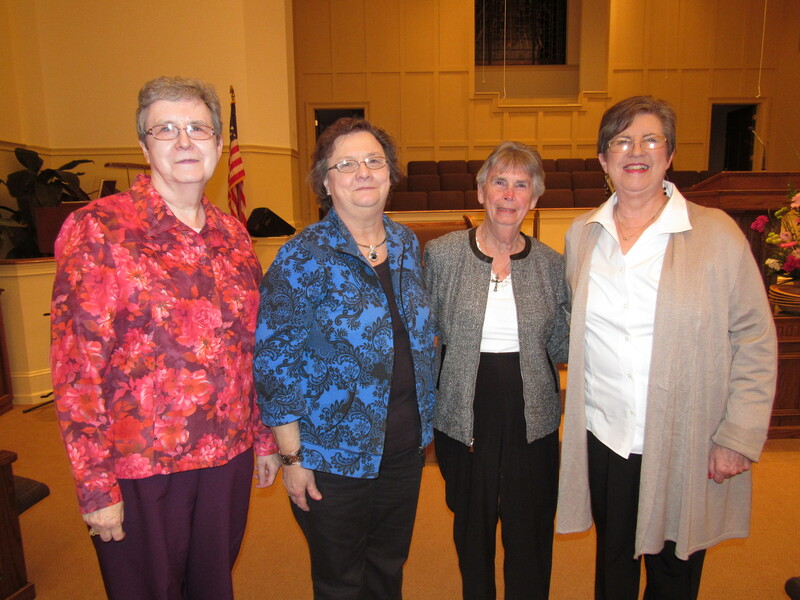 The meeting was held in conjunction with the national Annie Armstrong North American Week of Prayer held March 1-7. 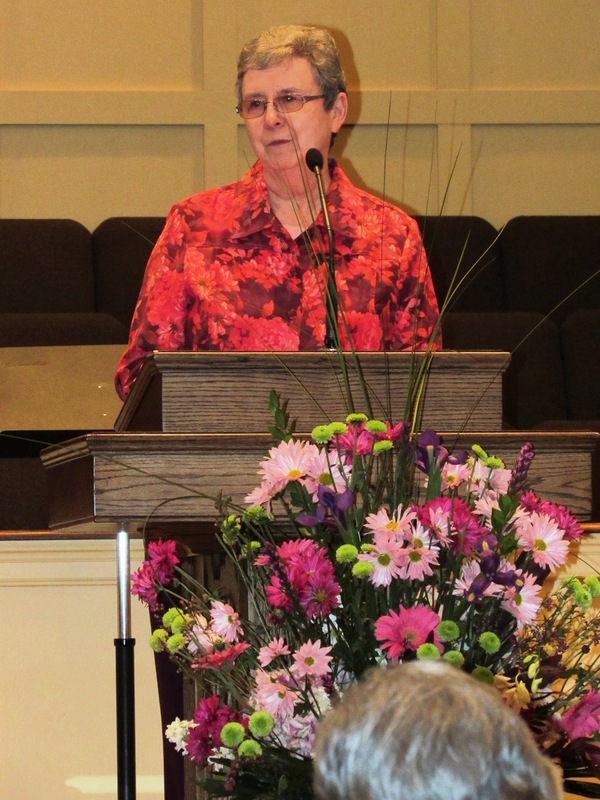 Judy Clanton welcomed the crowd and introduced Charlie Easley as the guest missionary. Easley said he has working at homeless shelters in Atlanta, Ga. and at Mission Arlington in Arlington, Texas, but the level of poverty and lack he saw with the children at this apartment complex was different. Because Easley serves as the youth minister at Walthall Baptist Church, the missionaries in England gave him the task of organizing games and activities for the children from the apartment complex. Easley said they would play games with the children, and while they were on a snack break, they would act out Bible stories in memorable ways to help the children grasp the deeper meaning of the story. They group ministered to about 20-25 children each day at the community center in the park near the apartment complex. And while many parents were not involved, some parents hung around during Bible study time and were answering the questions just like the children. Associational WMU Coordinator Ann Stone discusses the importance of educating children about missions in local churches. 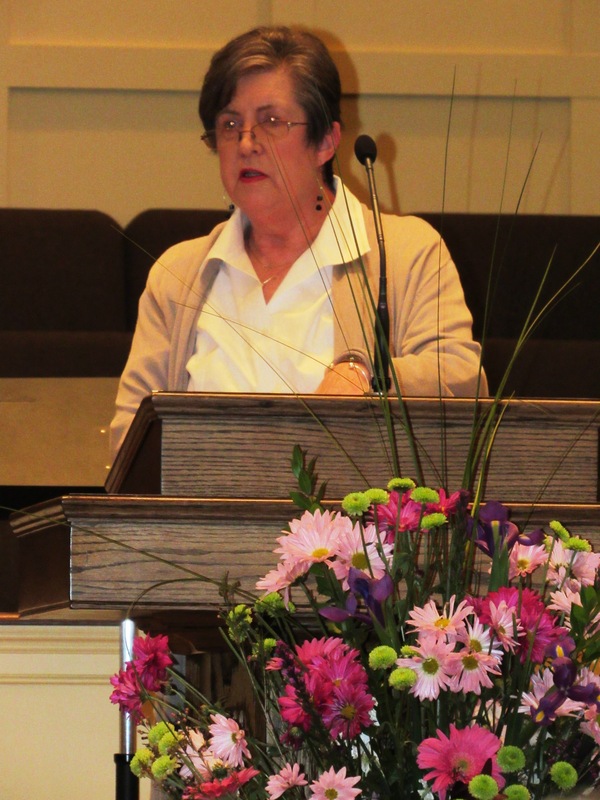 That theme of educating children was echoed by Webster County Baptist Associational WMU Coordinator Ann Stone. As part of the Spring Meeting, Stone encouraged the women of local churches to educate children in the importance of missions and praying for missionaries all over the world. WMU Area 4 Coordinator Donna Brown shares a few important updates. WMU Area 4 Coordinator Donna Brown was also on hand for the Associational Spring Meeting. She briefly discussed the role of missions in local churches and announced that this year’s Girls in Action (GA) Madness event will be held at First Baptist Church of Mathiston. 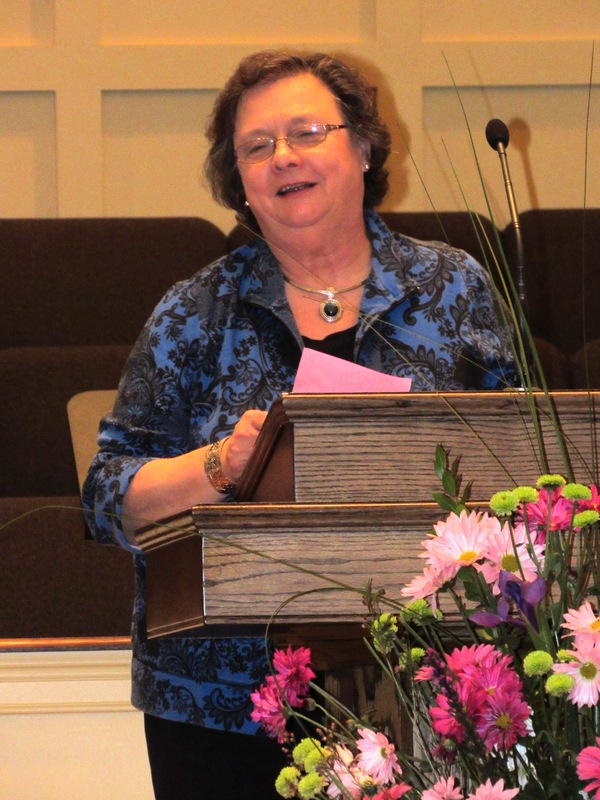 She encouraged the churches in Webster County to make an increased effort to be part of this year’s event for children. “And thank you for being a voice for missions in your church and your community,” Brown said. Rev. William Carpenter, pastor of Mantee Baptist Church, shares a few upcoming announcements from the Webster Baptist Association. For more information about upcoming Associational events, contact the Webster Baptist Association at (662) 258-5611. WMU Area 4 Coordinator Donna Brown with Webster County WMU leadership: Ann Stone, Johnnie Oswald and Judy Clanton. Thanks to all who serve in missions.